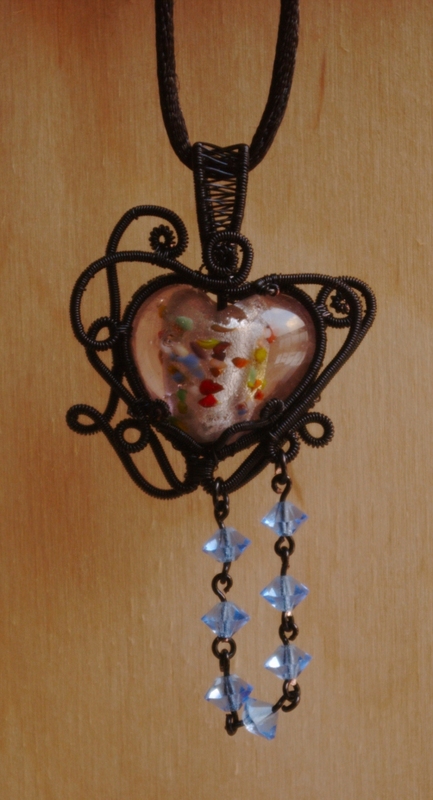 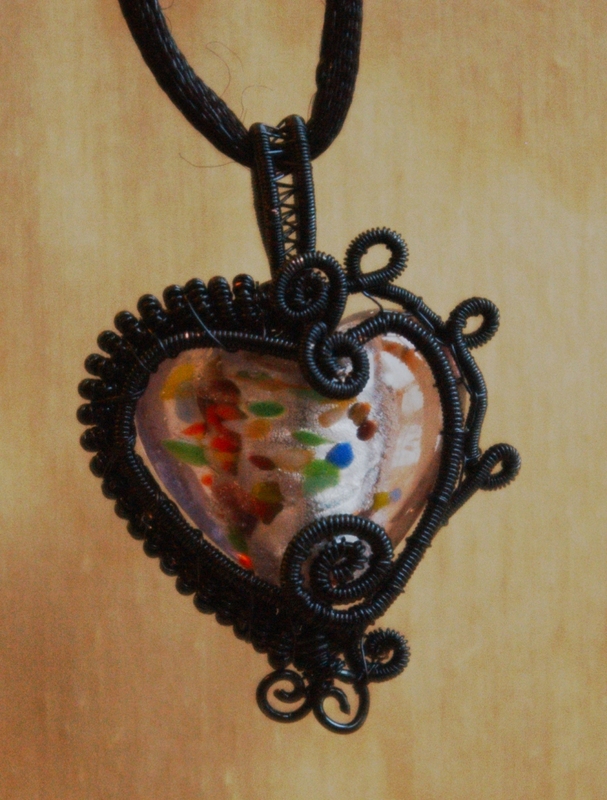 As 14th is coming, I have wrapped two pale-pink glass hearts in suitably noir, black wire. 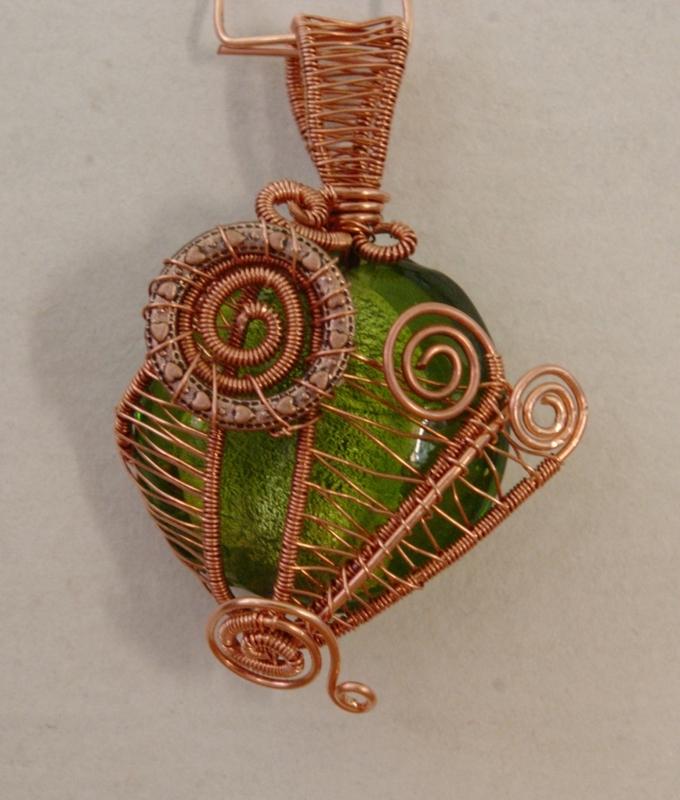 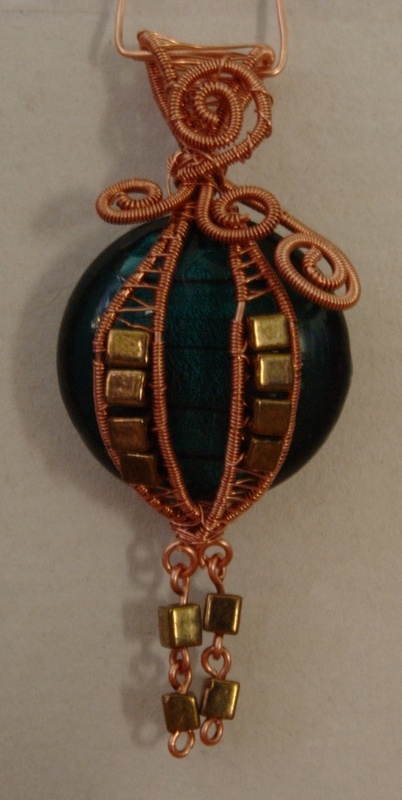 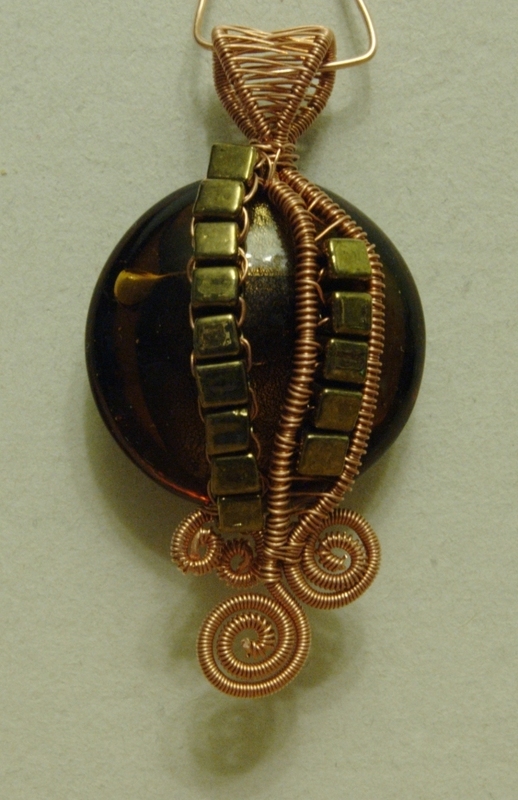 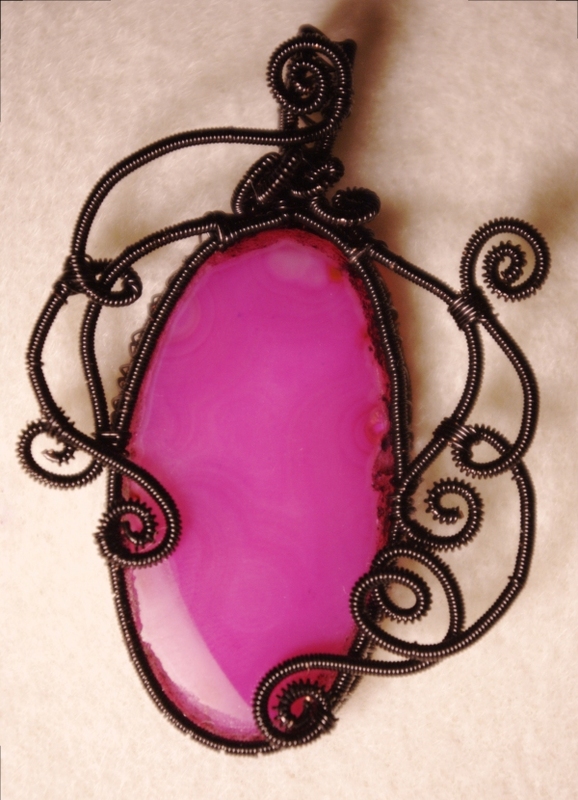 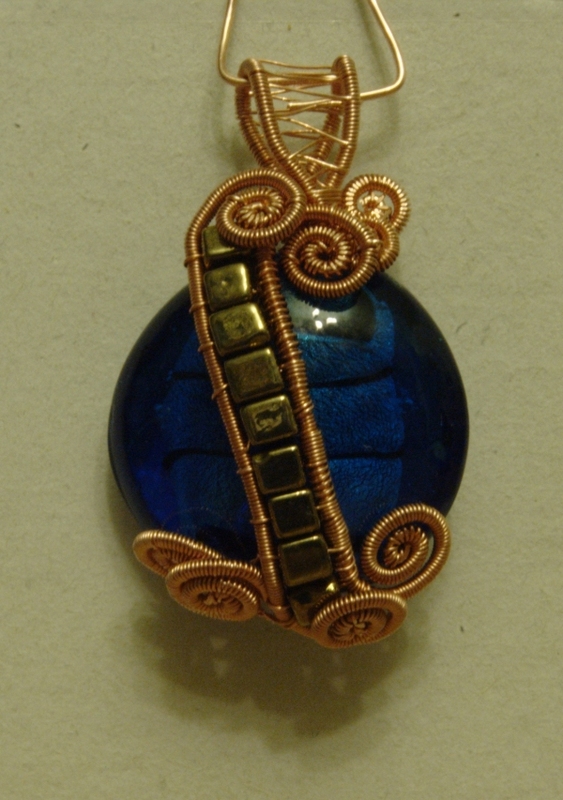 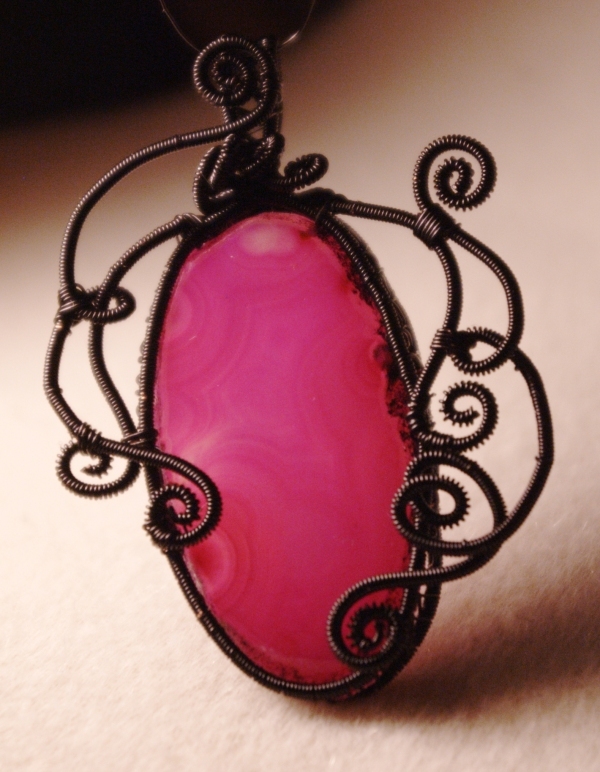 A slice of dyed agate, wrapped in black enameled copper wire. 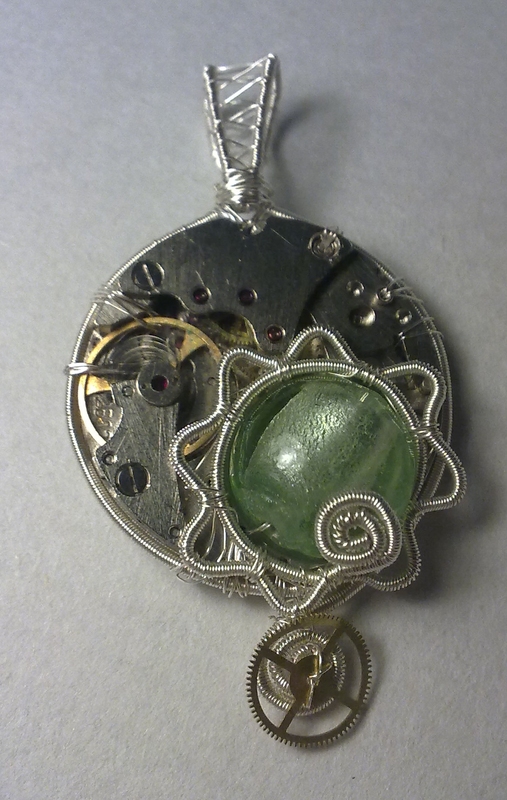 A watch movement in a wire-wrapped frame with a green glass wired in. 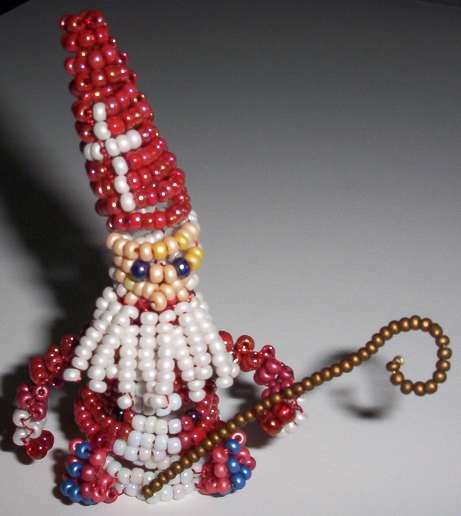 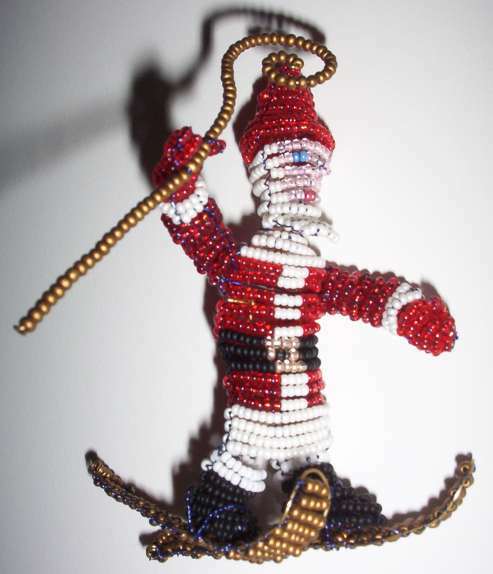 Two beaded figures of Santa Claus, done for commission.